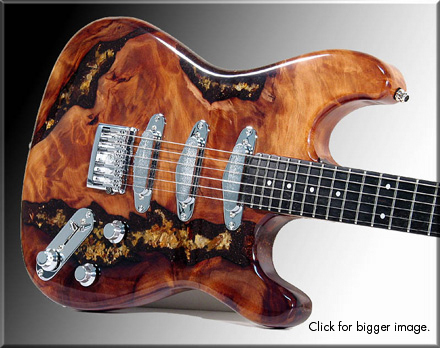 The oldest wood ever used in the construction of a guitar, 35000 years old Swap Kauri. TO ALL LANGCASTER OWNERS I SAY THANKS FOR YOUR AMAZING SUPPORT OVER THE YEARS . 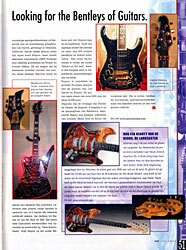 Langcaster guitars are now collectors items only some are for sale from my private collection. 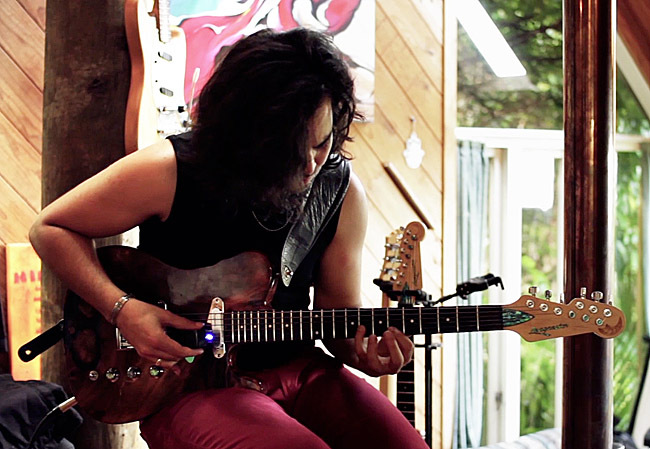 SEE Langcaster Guitars & Pickups TV Documentary "The making of Langcaster guitars"
The Koru series are fitted with Khaler fine tune bridge & have a classic shape neck with Paua shell inlay and locking tuners + the only guitar in the world with a sweet sounding Overdrive and Gain control. Click on the photo for a bigger image. 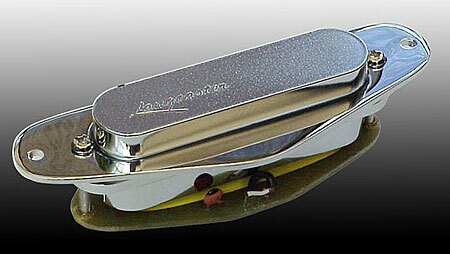 Listen to the sound tracks with Langcaster Pickups! 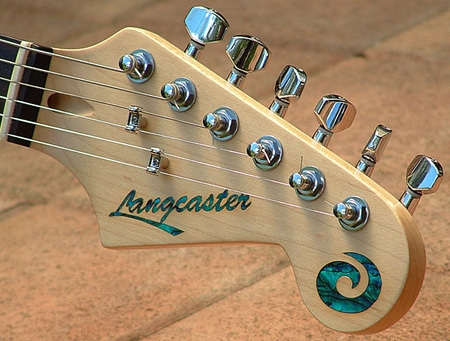 THE LANGCASTER GUITAR KORU SERIES. Click on the photo for a bigger image. 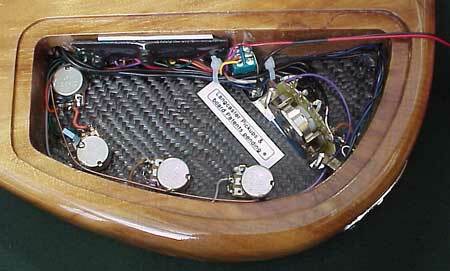 The rings round the pickups and switch plate are also hand made. 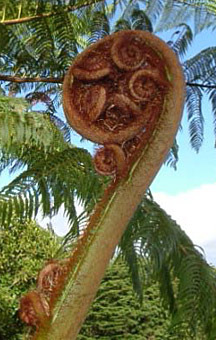 The koru is the Maori name given to the new unfurling fern frond and symbolizes new life, growth, strength and peace. It is an integral symbol in Maori art carving in New Zealand. All Langcasters have standard overdrive with gain control and Lo-Impedance Pickups. 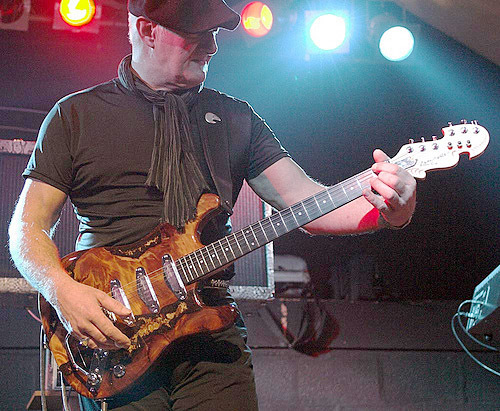 Jan Akkerman favored Lancaster for his Jimi Hendrix Tribute Tour together with an other guitar legend Steve Lukather of (TOTO). "Hi Joh, it is one of the most beautiful strat models I have ever played on"
The only low impedance  pickups in the world with overdrive. 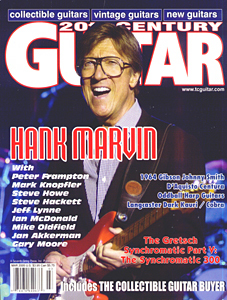 Read the pickup ANTHOLOGY, all about the Ultimate low-impedance pickups . Lo-impedance pickups means longgg cables and no loss of treble. It has the widest frequency range ever and a louder out put . Only 100 Ohm resistance and not the usual +/- 8000 K you will find in other pickups. Push the switch and you have a great sweet sounding overdrive with a volume pot to set the amount of gain. When the overdrive is activated a LED lights up in the switch plate when playing. Langcaster custom made guitars have a Carbon fiber cavity. 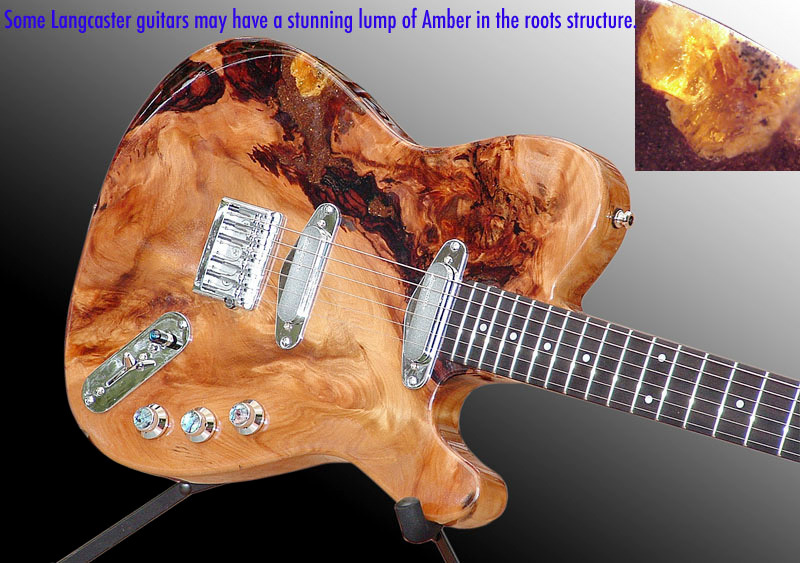 Carbon is conductive and strong as steel , many companies are too lazy to correctly  shield guitars. 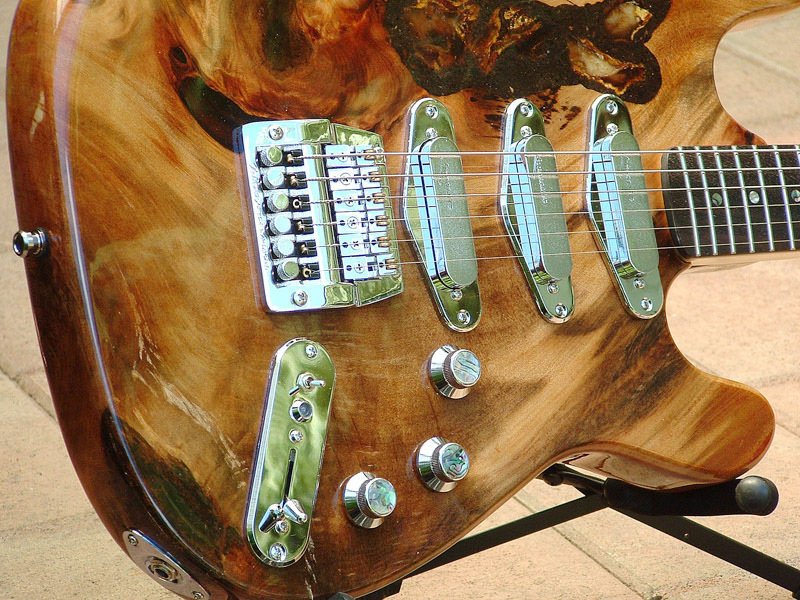 The switch plate has an LED and the rings round the pickups are hand made like the pickups. The Battery can be opened  from the back plate in a battery holder. The battery lasts +/- 800 Hr. Langcaster with Amber and Kauri gum the oldest wood ever used in a guitar ! 35000 years old. Paua shell truss rod cover. 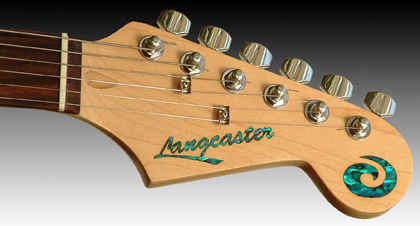 No solid body guitar sounds cleaner than the Langcaster. "Don't believe me ?" SEE THIS MOVIE! 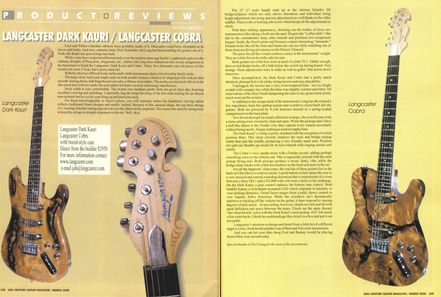 Read what the proud owners of the Langcaster guitars have to say ! 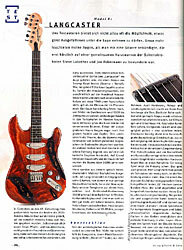 Langcaster Guitar Review in Gitarre&Bass Magazine, January 2004. Europe's most respected and largest magazine!. For us testers there is seldom the possibility to take something special under the loop. 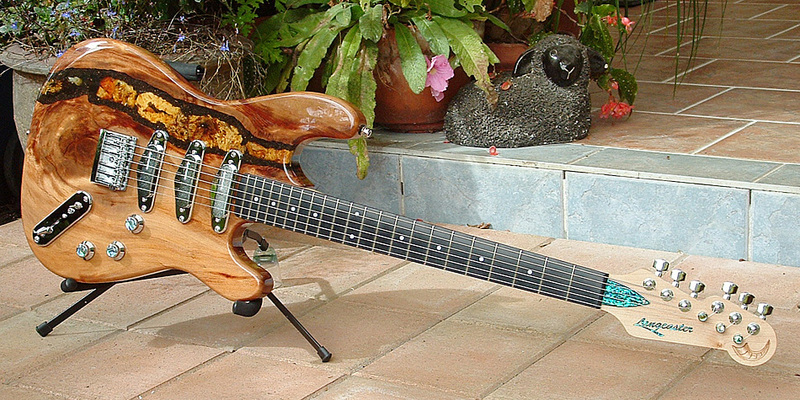 Therefore my eyes flashed when they told me of a guitar, which shortly ago appeared in the joined short tour of strings acrobats Steve Lukather and Jan Akkerman made its striking appearance. Langcaster on TV-1 and TV- 3 news ! One of the outstanding displays on the Music Expo . All Langcaster guitars from the Anniversary series are sold and are now collectors items !